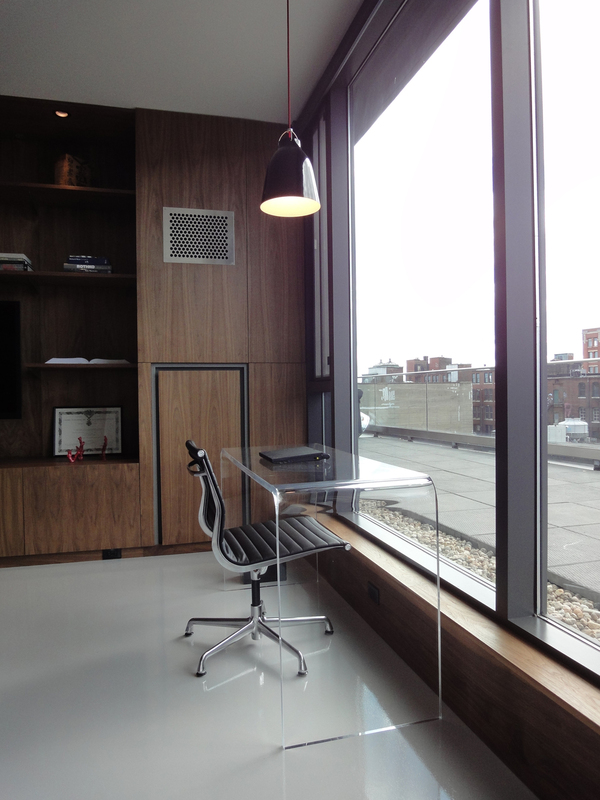 This renovation converted a 2-bedroom unit into an expansive, loft-style bachelor pad. The design approach shifts away from conventional compartmentalized layouts. 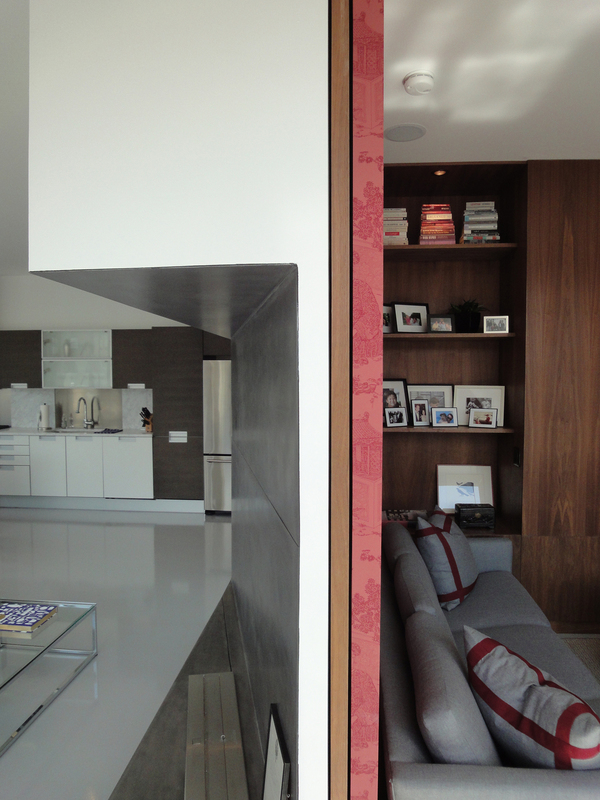 All unnecessary partitions are eliminated to create more unified zones - for a minimal yet luxurious lifestyle. 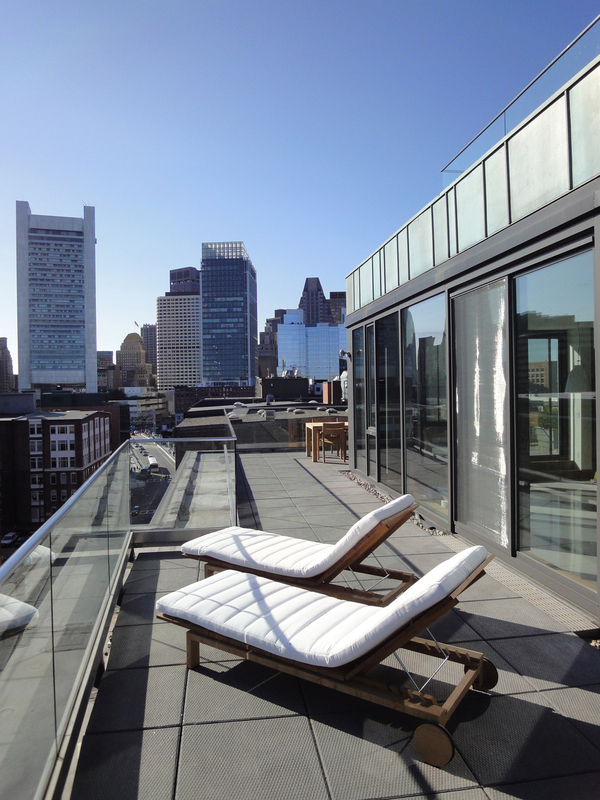 In the main living area, panoramic views of the boston skyline are expanded by extending the living area into the second bedroom, now a study. If privacy is desired, a massive sliding-wall rolls out on invisible hardware from behind the fireplace. Seamless epoxy floors pull in sunlight during the day, and reflect the skyline city-lights at night. A continuous window-seat wraps all around, extending the living area out onto the 800 sq ft deck. A master-bedroom suite is created by merging bedroom, walk-in + bathroom into a continuous sequence of circulation.